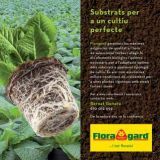 From 7 to 11 September will be held in the Italian city of Padua this International Fair Nursery and Landscaping with over 1200 exhibitors and 27000 visitors in its 2009 edition. In the edition of 2010, five of our partners involved with the Federation of Viveristes de Catalunya and two partnerships that make it up, representing the entire group Catalan. Federation d'Agricultors Viveristes de Catalunya. It has been advertising the show to thousands of operators from 29 countries in Latin America, Europe and Africa. In addition, buyers are expected from Algeria, France, Germany, Great Britain, Greece, Israel and Turkey. The participation in this fair count on the support of the Ministry of Agriculture of Spain, within the agreement signed with FEPEX and the support of ICEX, for the promotion of the production of the plant and the flower that includes the participation in other European fairs of maximum level.